A final figure of a whopping 2500 GBP was raised by the school in 2015. A brain wave (through a passion for South Africa) of teacher Kelly Cubitt has motivated the children from The James Oglethorpe Primary School (Upminster / Essex) to fully support our charity through a number of events. 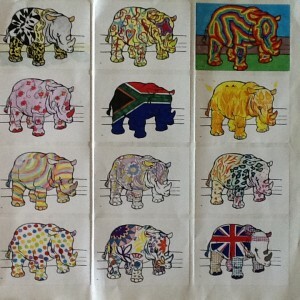 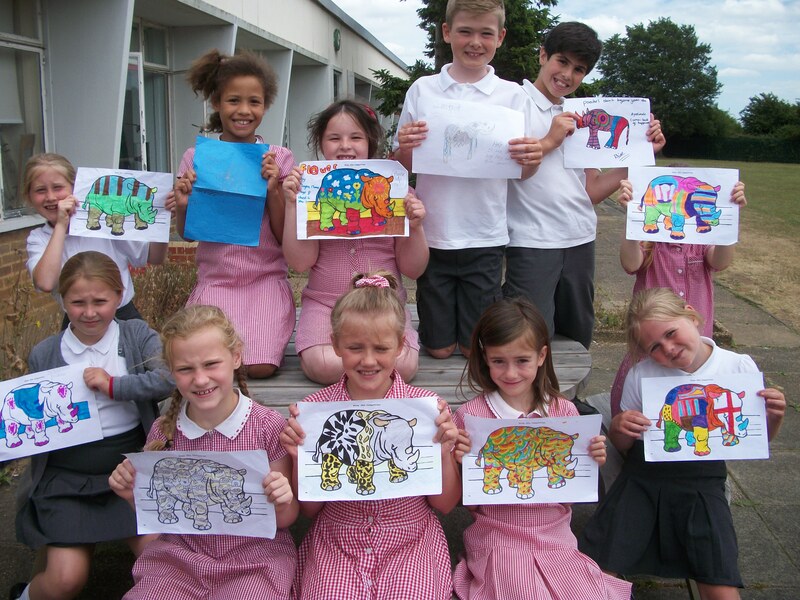 This first was to make their own design of a ‘rhino skin’, some of the entries and the top 12 can be seen here. 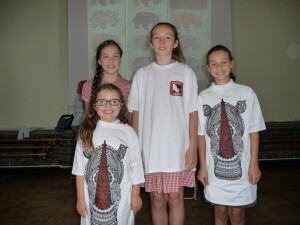 The top 1 in each of the 3 age categories were awarded a ‘Poached Rhino Tee shirt’ in conjunction with Toby illustrations(see below): Rosie Anderson, age 11 won for the year 5/6 category. 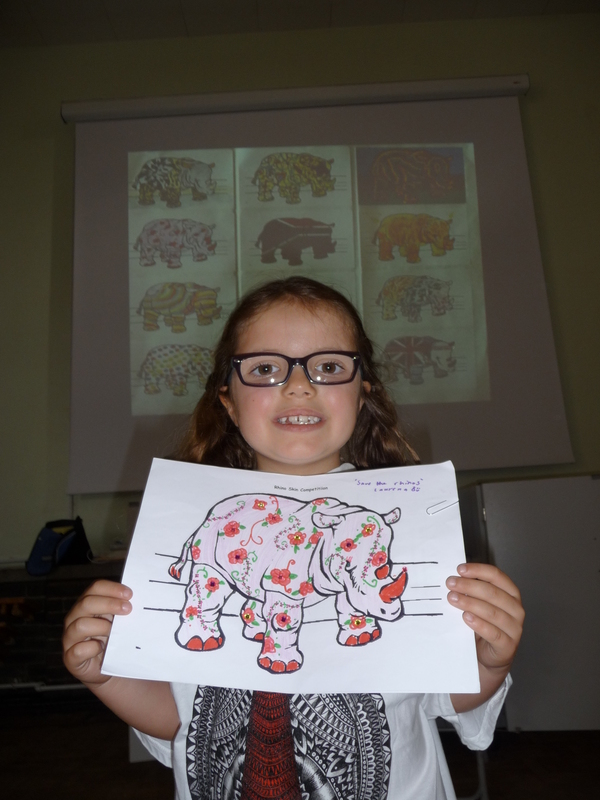 Chloe Taylor, age 9 won for the year 3 / 4 category. 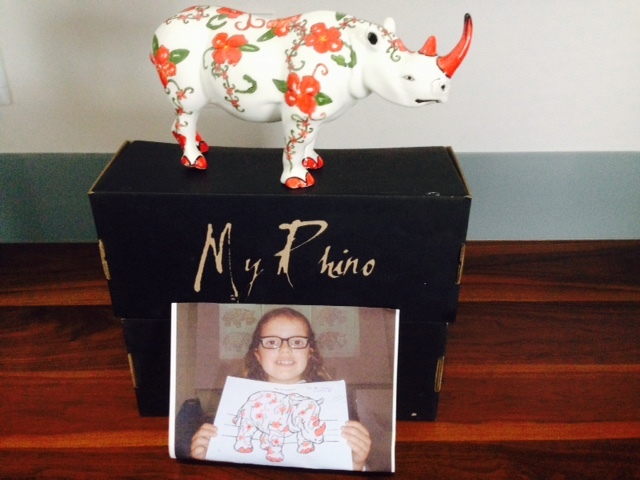 Laurena Anderson, age 6 won for the year 1 / 2 category and was declared the overall winner of the rhino skin competition. 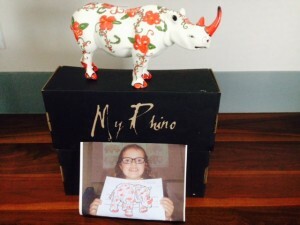 Laurena will have her individual design painted on a one off ceramic Rhino(supplied by my rhino) more details to follow. 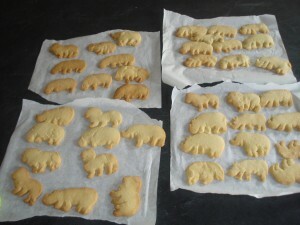 We thought it was so good – we published it twice. 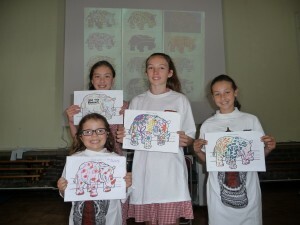 They also held a ’bake sale’ on the 8th July, which was a huge success. 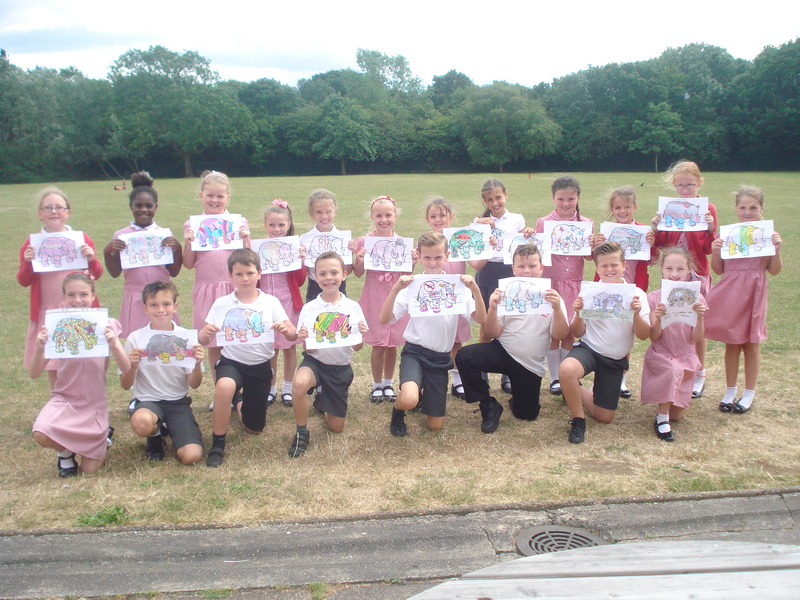 They also held a quiz night and raffle / auction on Friday 17th July – they have now raised in excess of £1500-00 for the charity, well done. They are having a large event on Tuesday 22nd September (which is World Rhino Day) where they will be having the ‘Great Oglethorpe Bake Off’ and also a ‘special challenge’ which will be promoted through social media sites. (more details to follow).